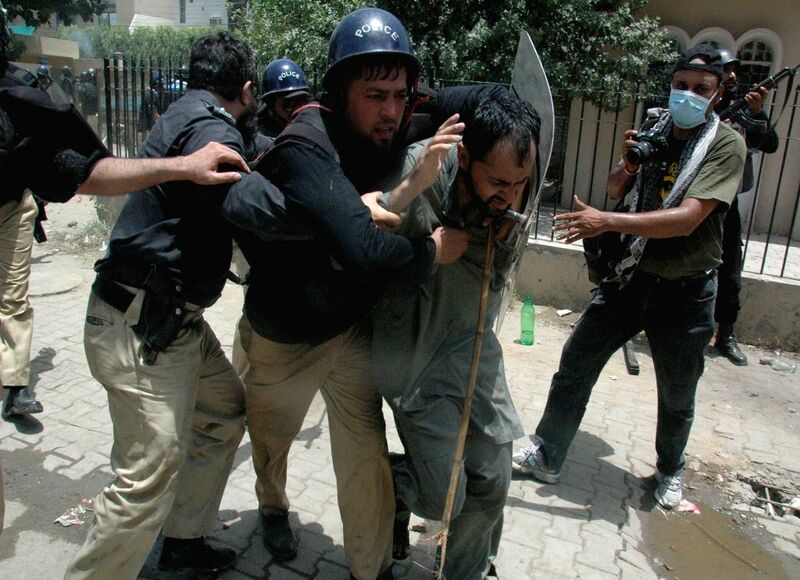 LAHORE, June 17, 2014 - Policemen arrest a man during clashes with Pakistan Awami Tehreek (PAT) protestors in east Pakistan's Lahore on June 17, 2014. At least seven protestors, including two women, were killed and over 60 others injured on Tuesday during clashes with police in Pakistan's eastern metropolitan of Lahore, local media reported. 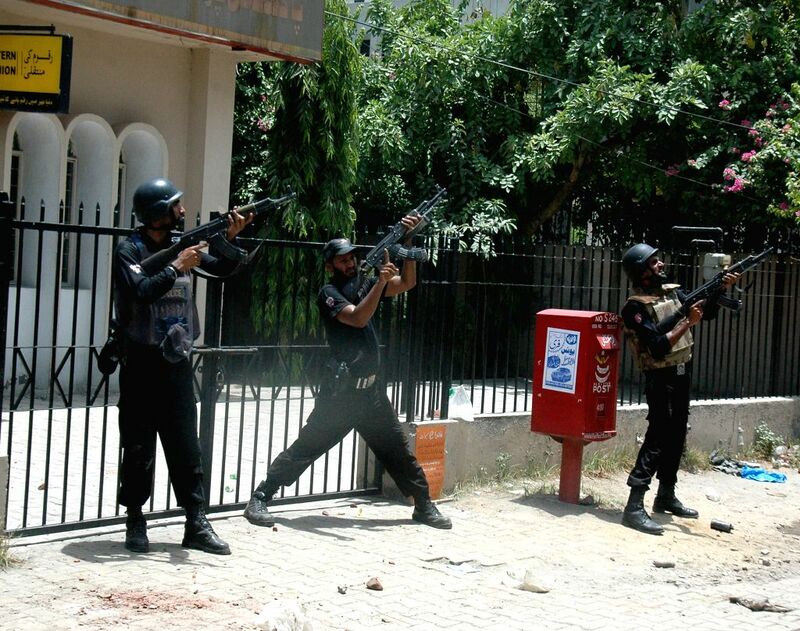 Policemen stand guard during clashes with Pakistan Awami Tehreek (PAT) protestors in east Pakistan's Lahore on June 17, 2014. 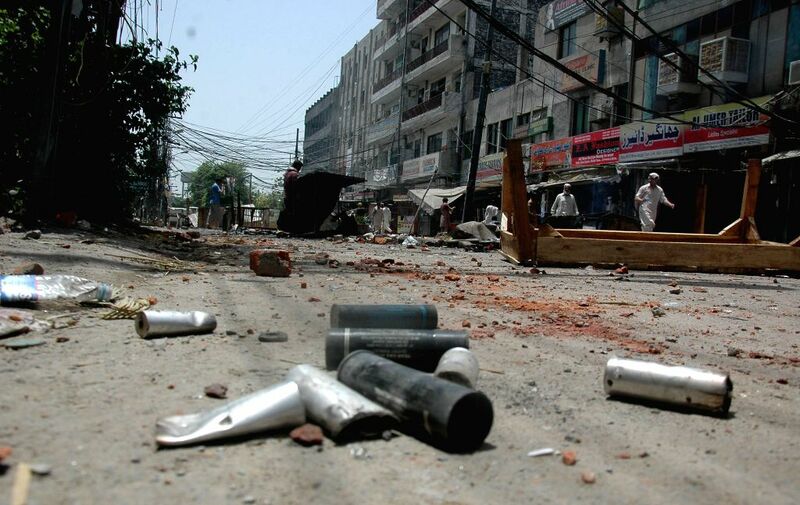 Empty teargas shells are seen on road during clashes between Pakistan Awami Tehreek (PAT) protestors and police in east Pakistan's Lahore on June 17, 2014. 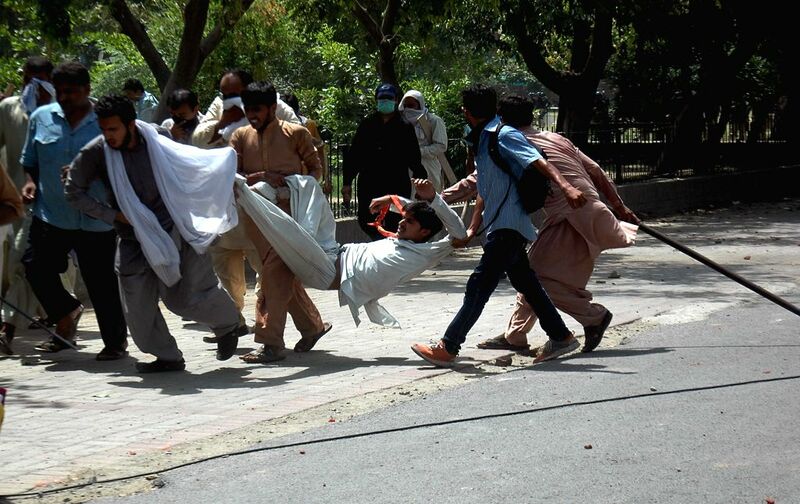 Pakistan Awami Tehreek (PAT) protestors carry an injured man during clashes with police in east Pakistan's Lahore on June 17, 2014.